Deleting duplicate photos is one of the hectic and time-consuming process as you have to allocate a proper time and clear all the files loaded with the previous or useless data that is not important or functional. To make the process less critical and disturbing, there are some free duplicate photo finder apps, if you don’t want to use the built-in Photos app in Windows 10. These tools will be a bless especially for those photographers who are struggling to free up computer space for new captures by removing duplicate old images. 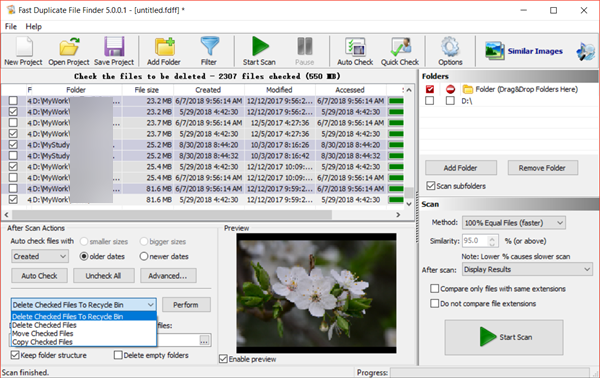 In this article, we will introduce some of the best duplicate photo finder app as well as Windows Photos app to illustrate how to delete duplicate photos quick. Windows Photos is a quite handy application as it allows users to preview all images simultaneously, just like you view them in a folder. 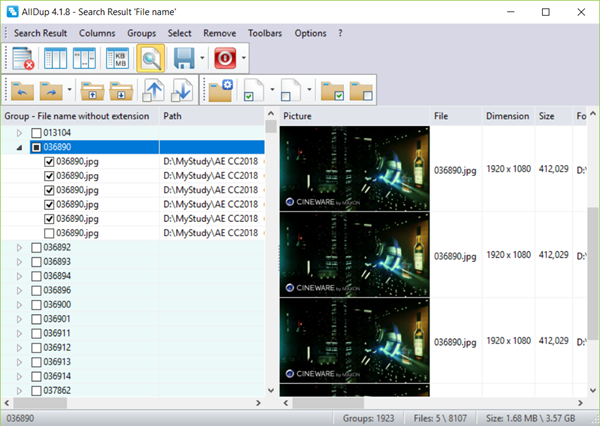 Nevertheless, it doesn’t provide an option to find or delete duplicate images. Therefore, if you choose this app to delete duplicate photos, you should prepare enough time for it. The good side is that it is your choice whether to delete similar but not identical photos or not. By default, Windows Photos app only show all duplicate photos as a single file. 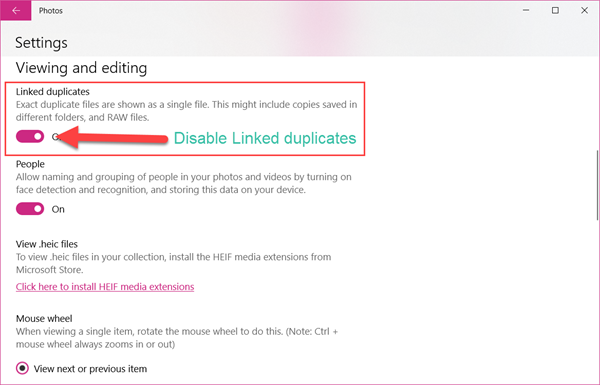 In order to find and delete duplicate photos with this app, we need to disable the feature first. 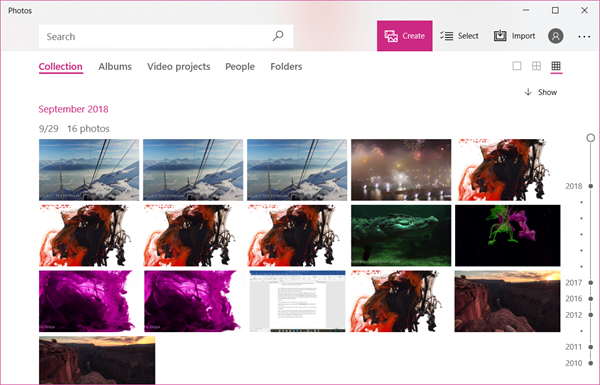 Open Photos app on Windows 10 by clicking Start > Photos. On Photos app, click the three-dot menu on the top-right corner, then choose Settings. In Settings, scroll down to find Linked duplicates option, then disable it by clicking the toggle. The above steps will force the app to show all duplicate photos so that we can delete redundant ones by following steps below. Windows Photos app automatically display image files on your computer hard drive, but you need to move a step forward if your pictures are in a mobile phone, SD card or camera connected to the computer via USB cable. Open Photos app, then click Import button on the top menu. You will be presented with two options: From a folder (memory card, USB stick, hard drive, etc. ), and From a USB device (phone, camera, etc.). Choose the one best for your case. Follow the instruction to import images to Windows Photos app. Note: In case the timestamp of the photos is altered after import, you can check how to transfer photos without changing date stamp. As we have said, you have to rely on your eyes to find duplicate photos, but there some features on Windows Photos which can speed up the process. These options should facilitate your finding of duplicate photos. 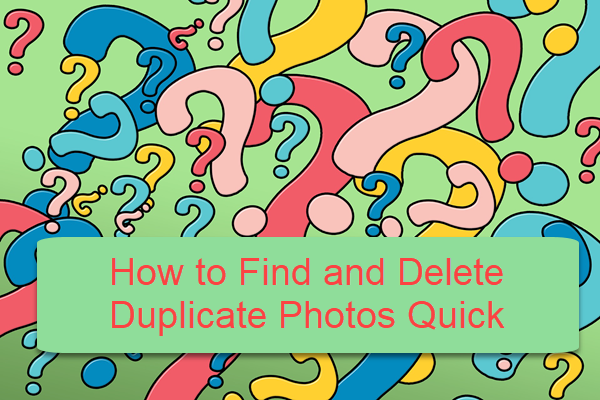 If you are not fully satisfied, keep reading for more apps to find duplicate photos for deleting automatically. Undoubtedly, many apps can help us find duplicate photos quickly and accurately. Here are top 5 free duplicate photo finders. 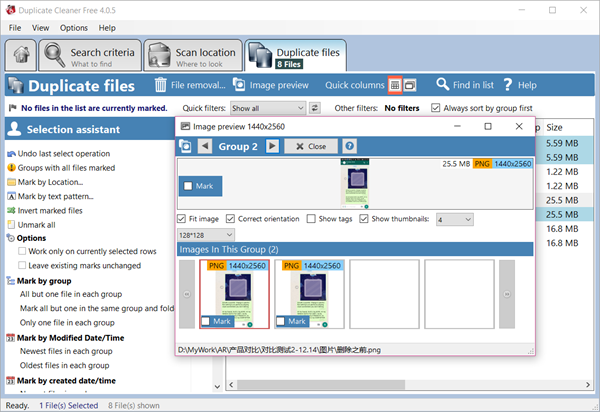 Fast Duplicate File Finder can find duplicate photos by comparing the content of the files at several similarity levels regardless of different file names. Its pro version provides more powerful functions with advanced algorithms, but the free version does what it claims to do free of charge. Duplicate Cleaner Free by DigitalVolcano Software is listed as the Top 1 duplicate photo finder because of its powerful functions and satisfying free version. This freeware can be accessed from Windows Store, but unlike other free apps on Store, there is no ads even on the free version. As the name indicates, it is not an exclusive duplicate photo finder. You need to select image files only on the filter screen, then choose to scan photos from a location. Luckily, the app provides an option for previewing found images in a small window so that we can double check before deleting duplicate photos. In this article, we have learnt up to 4 free apps for finding duplicate photos. You can choose any one that suits you best. However, it should be noted that not all duplicate photos are redundant. Please think twice before deciding. In case that you lost important files by mistake, do check the best professional data recovery software. Don’t forget to share your experience or questions with us in the comment area. You’ll get quick and helpful response.